$270 for 5 Hours or $320 for 8 Hours. 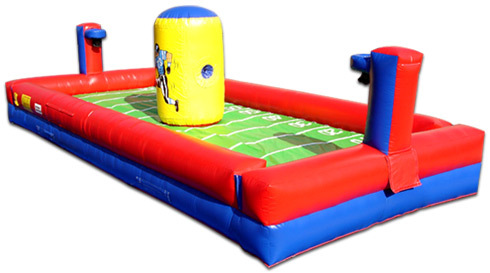 (Plus Tax) Participants play as their own football team, as both offense and defense, trying to score on the opponent's goal while attached to the same bungee cord! All of the excitement associated with traditional football, with none of the traditional rules. Great for ages 12 and up. The ultimate one on one Tug of War.